Summerhill Market in Toronto has decided to start spreading the goodness of entomophagy to their customers. This past week, Christy McMullen, owner of the market, said it is selling BBQ, Moroccan-spiced and honey mustard flavoured insects ($1.69 per two-gram pack) to get ahead of the current trends. Sustainability is in with consumers, and eating bugs meets that demand, she told Metro Morning. Besides that, she said, they are a healthy way to get protein — 65 per cent protein compared to 30 per cent in beef — and they are cheap. they come with nine essential amino acids,” said McMullen. Some of the items the store sells: mealworm protein balls, chocolate covered crickets and cricket pie. 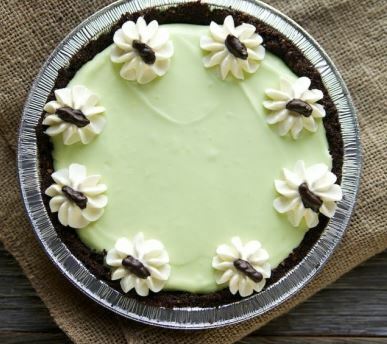 To make the key lime pie, cooks make cricket flour, (cricket powder) and it’s topped with chocolate-covered crickets.